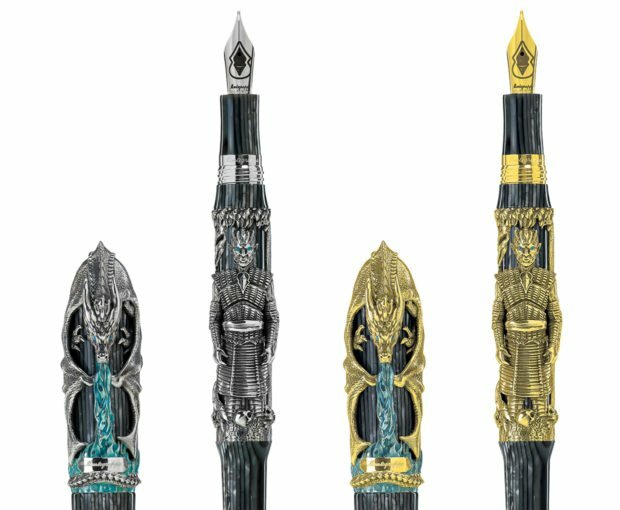 If you’re a Game of Thrones fan who loves to write notes and send them by raven, then Italian writing instrument maker Montegrappa has just the perfect pen for you. It is called the Winter is Here edition. 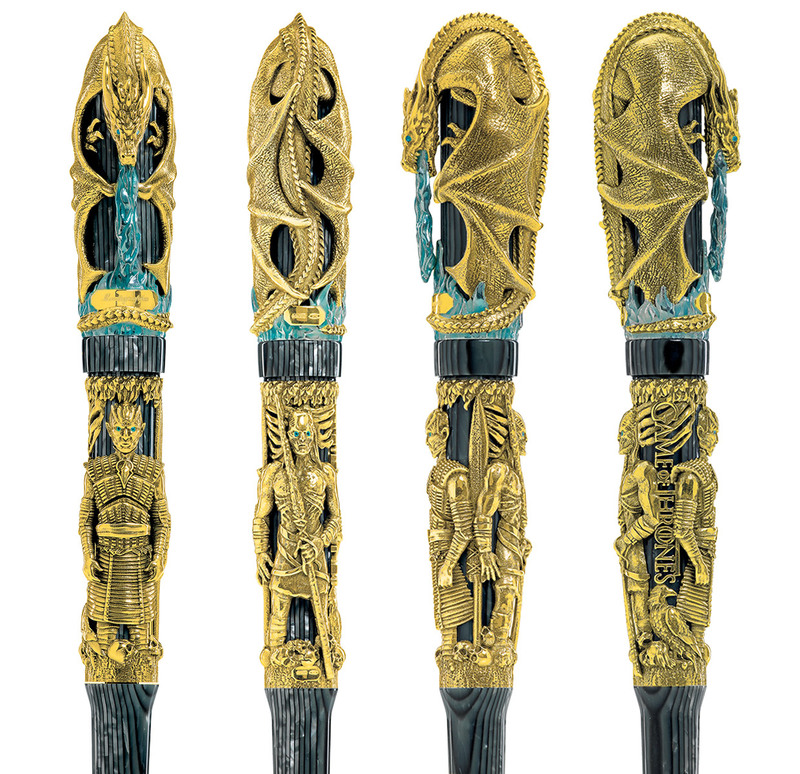 The pen has an extremely intricate exterior that makes it a work of art, carved from pearlized great celluloid and “enveloped by a masterful study in the ancient art of lost wax casting.” It is a beauty that’s for sure. The Night King and a White Walker are engraved on the pen’s barrel with ice-blue apatite crystals for eyes and on the pen’s cap, and the ice dragon Viserion is carved in precious metal, over a ring of blue-crystalline hand-glazed flames. The dragon wraps around the pen cap and the head with the tongue of ice is the pocket clip. It is available in your choice of fountain or rollerball, and in sterling silver or solid 18K gold. The silver model is limited to 300 units, while the 18K gold has an ultra limited run of just 7 units. These pens aren’t cheap, mind you. 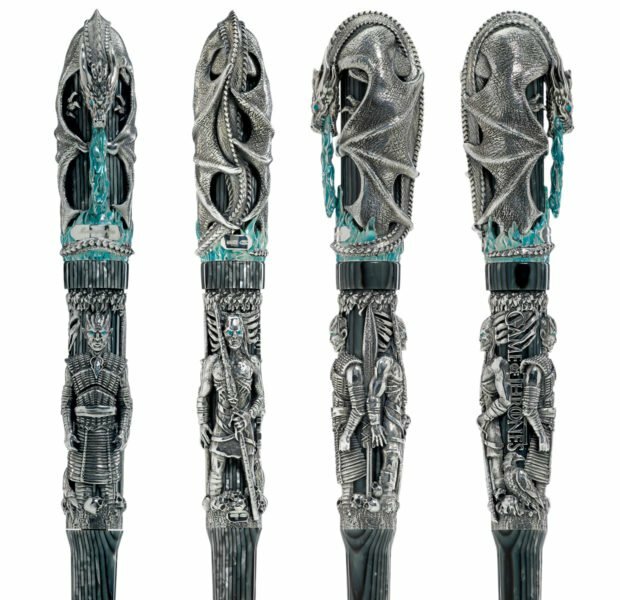 The sterling silver version is €4,500 (~$5,080 USD) a pop for the fountain and €4,050 (~$5,570 USD) for the rollerball. The gold one will cost you €48,000 (~$54,270 USD) for the fountain, or €51,000 (~$57,680 USD) for the rollerball. 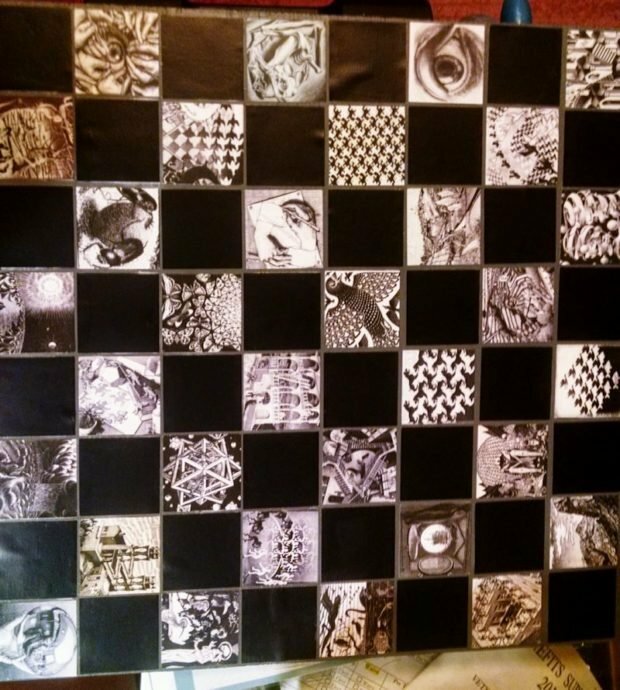 Do you like chess? Do you like dead things? Today’s your lucky day. 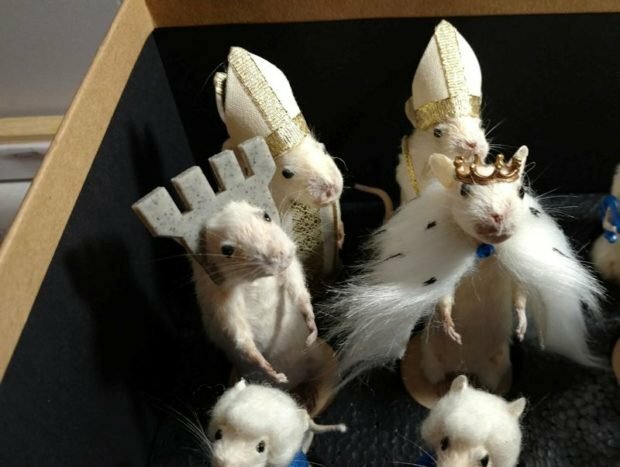 Etsy seller and TheCurious13 has combined lifelike deceased rodents with a classic game of strategy with their taxidermy mouse chess set. 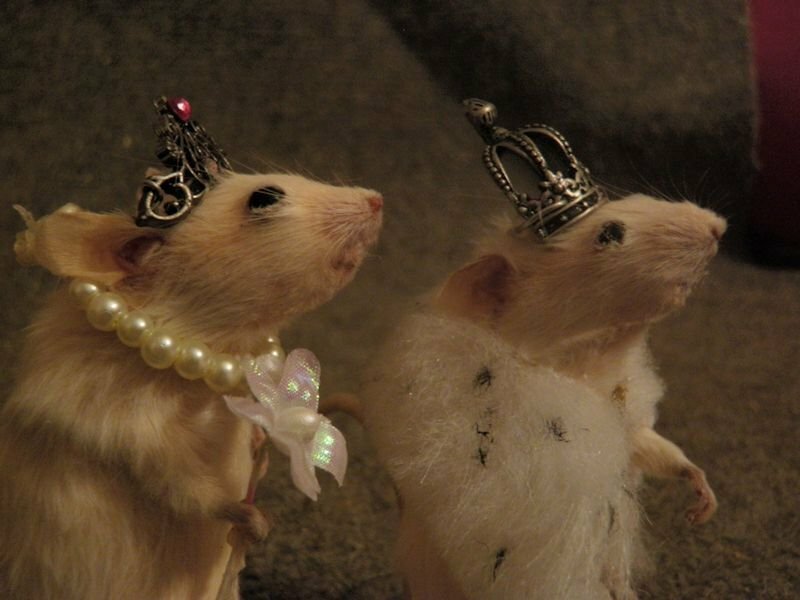 Every single chess piece is a dead mouse that has been lovingly dressed up and decorated to match the pieces from the game. 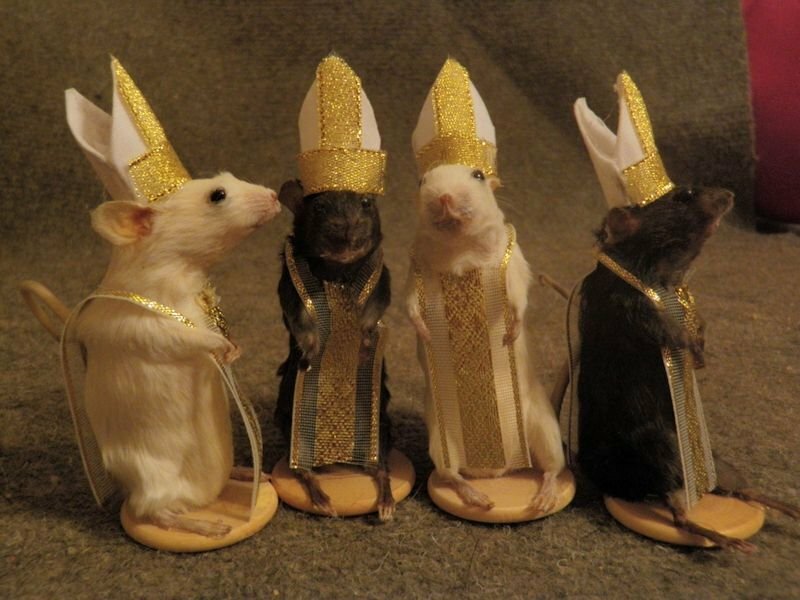 These mice are hand stuffed. 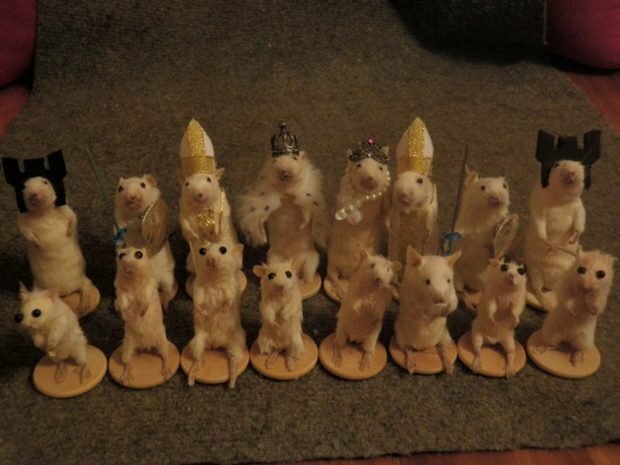 You get 16 light colored mice and 16 dark mice. The set also comes with a wooden handmade chess board and storage boxes. You can even customize this set and request different costumes and colors. 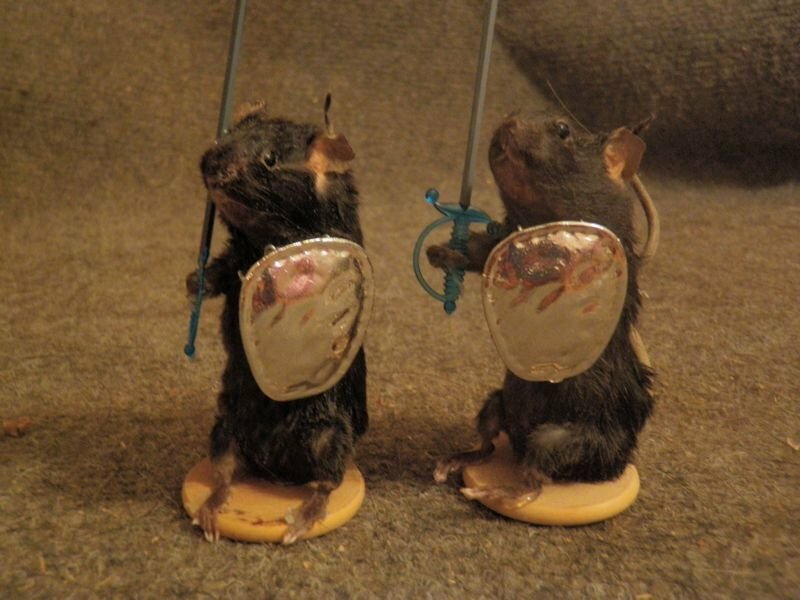 I’m thinking Star Trek set with mice as the Enterprise crew and Klingons with those tiny ridges on their mouse heads. Maybe Game of Thrones. That would be cool. This mess of dead mice doesn’t come cheap though. The complete set will cost you a cool $750. 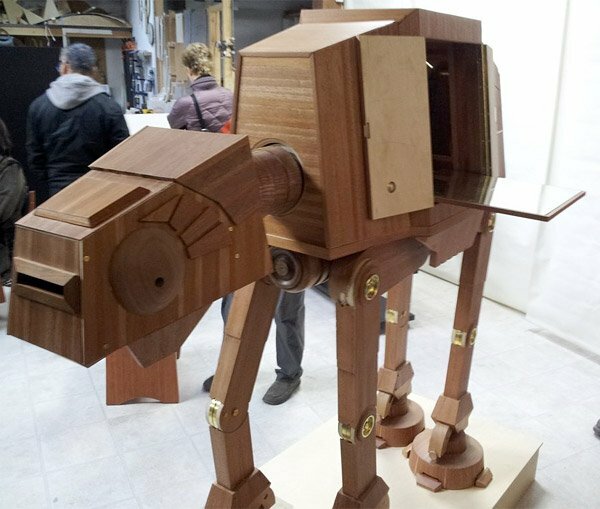 Of course, you could always make your own for much less if you have a rodent infestation, but I doubt it will look this cool and creepy. Just do yourself a favor and don’t play a game of mouse chess if you have cats, unless you want to see your hard-earned money go down the drain. 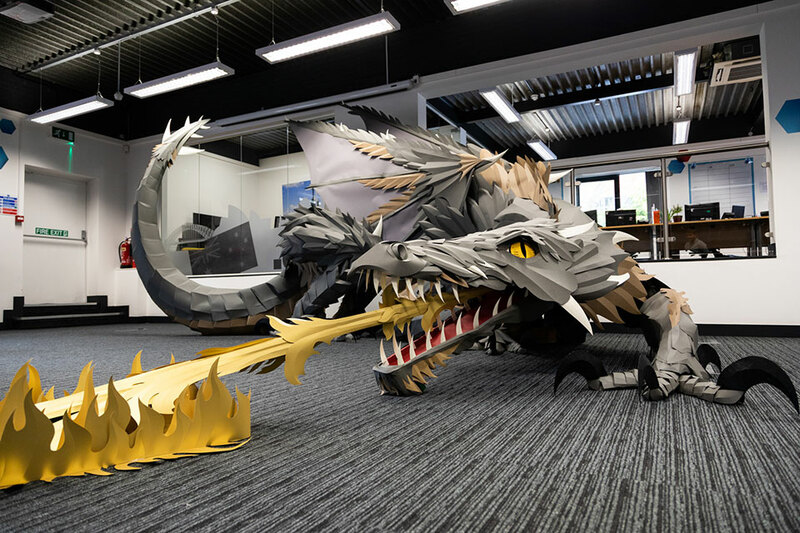 To celebrate the final season of the hit HBO series Game of Thrones, UK office supplies company Viking Direct worked with artist Andy Singleton to create this massive 43 foot-long dragon. It’s true, the night is dark and full of terrors. This is just one of them. It took Andy and a team from Viking about 10 days to create this amazing paper beast. 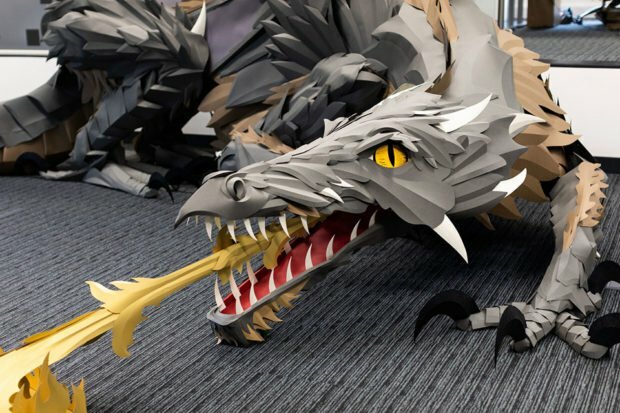 The detail on this life-sized paper dragon is just mind-blowing. It has a wingspan of more than 19 feet and took 1200 pieces of A4 paper to bring it to life. 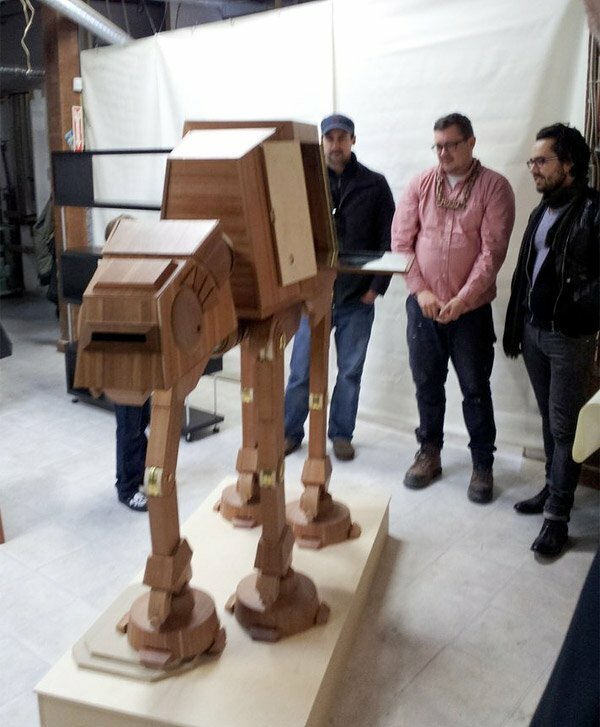 It remained at the office for a week before they put it on display at a nearby school. It kind of makes me wish I had a giant dragon in my office. No, I mean besides my boss. Well, I mean, he’s not that bad. Aside from the breathing fire anyway. Obviously, the folks at Viking are huge Game Of Thrones fans. Building a giant dragon is also a great marketing tool for sure. 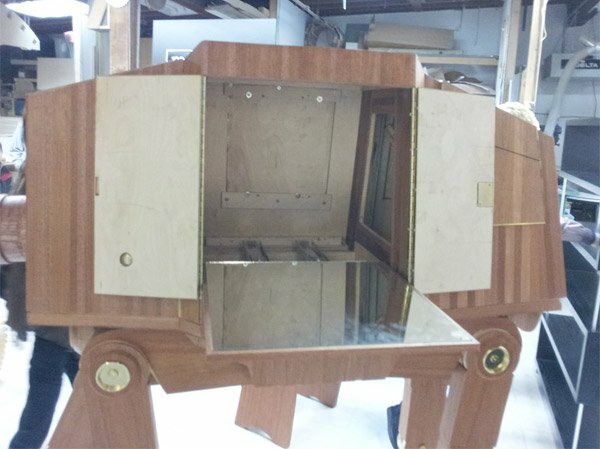 Awesome work guys! Now get back to work! 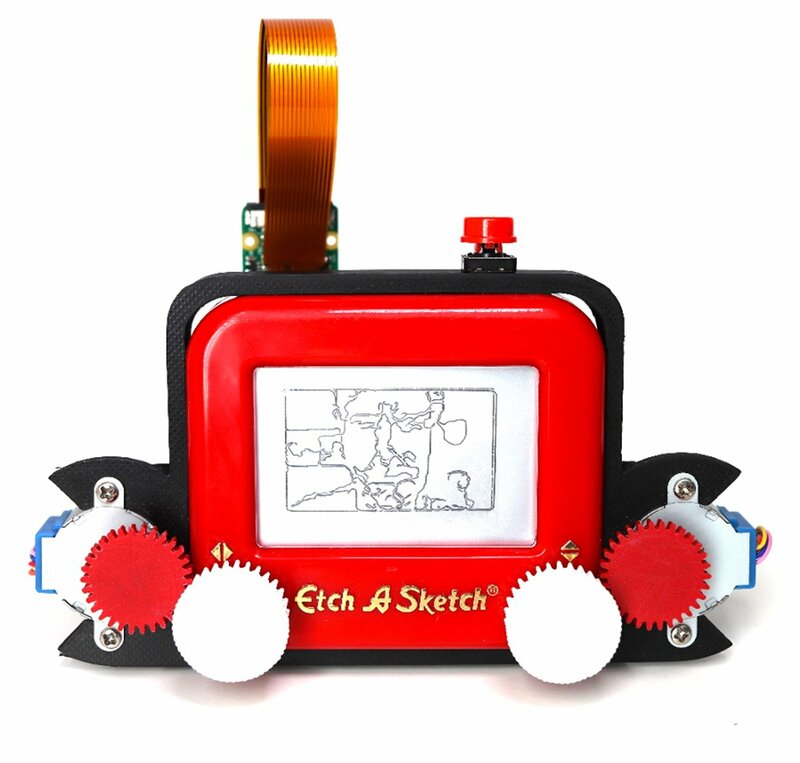 And by work, I mean to build something else cool using office supplies. 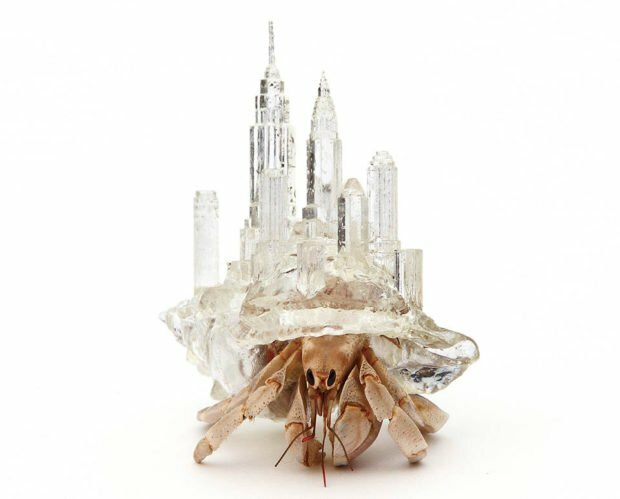 Who says your desk lamp has to be boring? 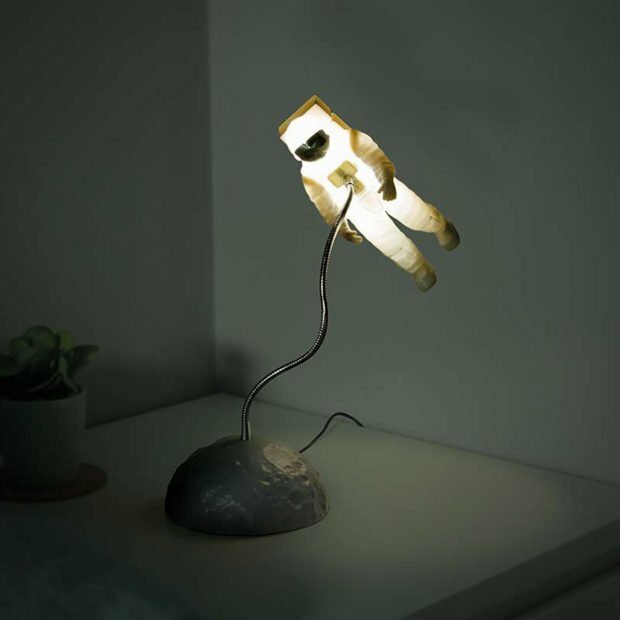 You could get an old school brass lamp that says “I’m lame,” or you could get this lamp that has a moon base and a floating astronaut that glows. The design reminds me of the old MTV segues back when the network was about music. 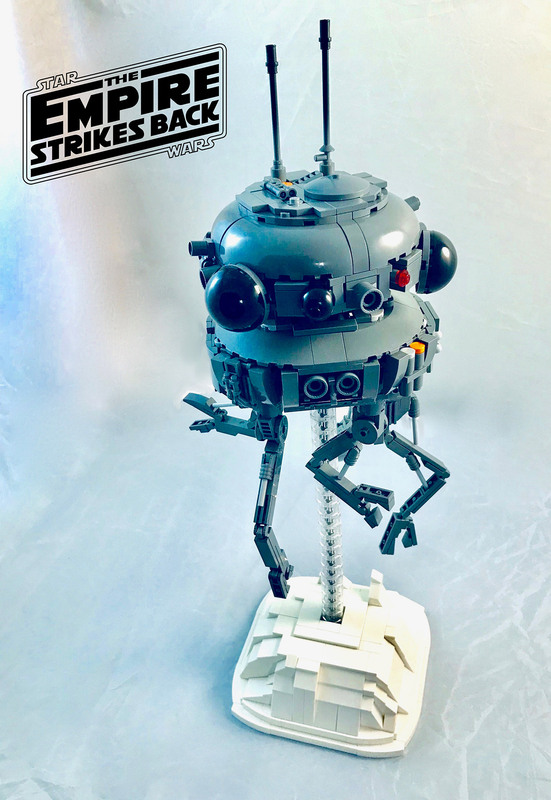 The astronaut is attached to a flexible metal arm that allows you to position the glowing space traveler wherever you want it. Since it just runs on 3 AAA batteries, it doesn’t appear to glow very brightly, but it still looks awesome. While it might not be good for people actually trying to work, the muted glow will be perfect for anyone trying to decorate a kids room with a soft light to keep the monsters at bay. ThinkGeek will sell you an Astronaut Light for $29.99. 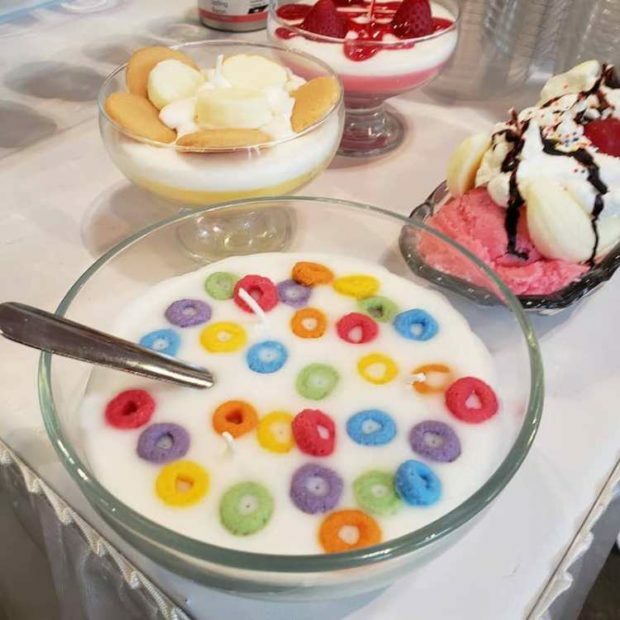 Fruit Loops. They’re magically delicious. Wait, that’s not right. They’rrrrrre great! No, that’s not it. 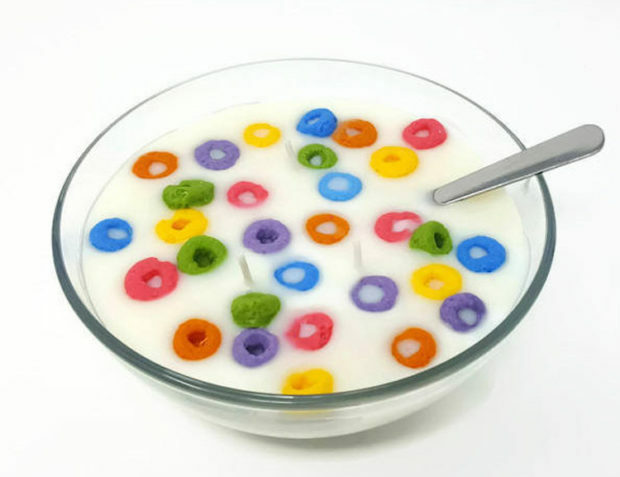 Anyway, I don’t have to ask Toucan Sam to follow his nose to this Froot Loops cereal candle, because I can do that myself. This thing looks like a half-eaten bowl of cereal and smells just like Fruit Loops when you burn it. Jennifer Cox of Nashville’s CandleLit Desserts created this breakfast replica to please your nose and your eyes. She makes all kinds of candles that are realistic and look and smell like desserts and other foods. 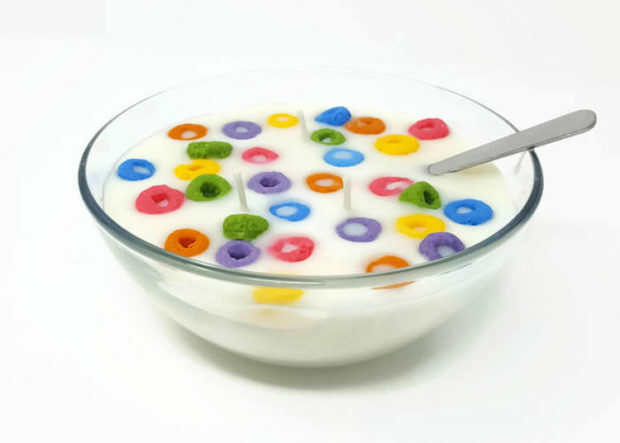 But this one is for the cereal lover in you. It even has a real spoon sunk into the faux milk wax. You can check out this candle and many others in her Etsy shop. Pretty cool. Now all I need is some toast candles, some bacon candles, and some OJ candles and my breakfast that I can’t eat a single bite of will be complete. Anyway, if you like the smell of cereal and you can’t get enough of it in your home, this one’s for you. If you like pancakes and X-Men, you will be thrilled about this. Earlier this week, it was National Pancake Day, which should be a big deal holiday in our estimation, complete with gifts of syrup and pancake trees. 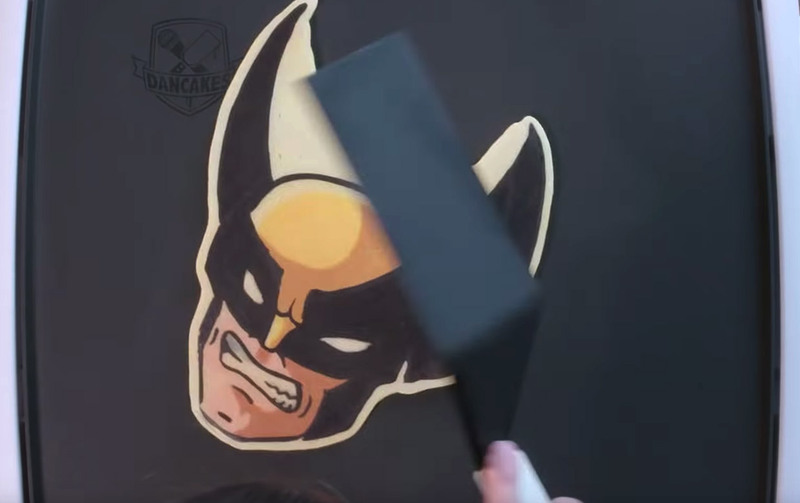 To celebrate, Marvel teamed up with pancake artist DanCakes to whip up a batch of mutant-powered pancakes for us to enjoy. This guy is a seriously good pancake artist, and his food is too pretty to eat. You can check out his delicious X-Men breakfast treats in short the video clip. This dude would make his kids’ sleepovers the stuff of legends. I don’t get how he can draw an entire comic book pancake without burning anything when I can’t cook normal pancakes without foodstuff tragedy.